Full-width Gallery — Tick if you want to show the gallery in full width size. 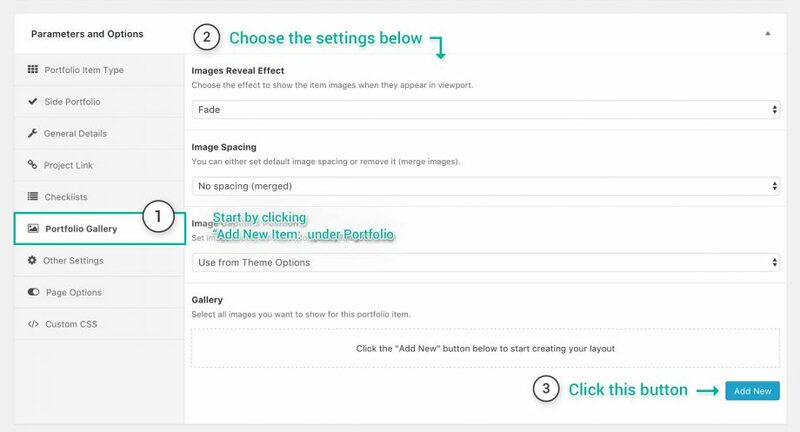 Show Featured Image — Check this box if you want to show the featured image. Full-width Featured Image* — Make the Featured Image full width, other elements will not be affected by this option. Title Position* — Select if you want to position the title Before or After the featured image. 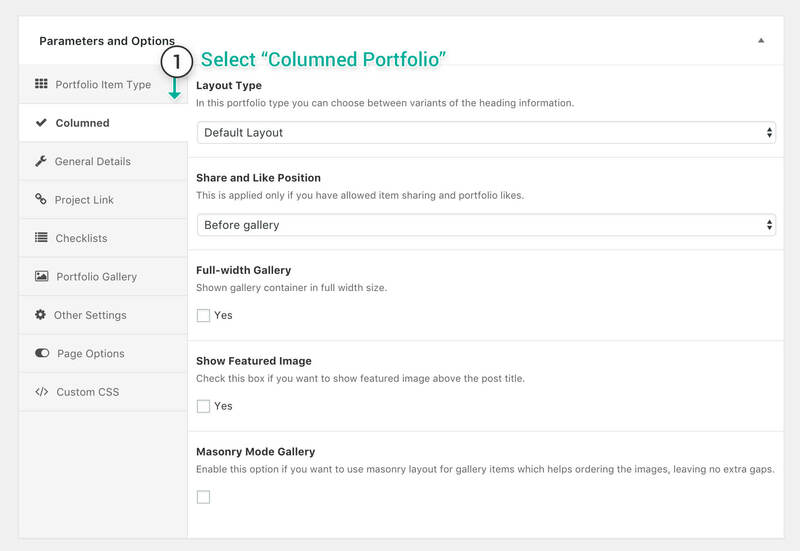 Masonry Mode Gallery — Enable this option if you want to use masonry layout for gallery items which helps ordering the images, leaving no extra gaps. * Parts marked with the asterisk are shown only when the Show Featured Image is selected. 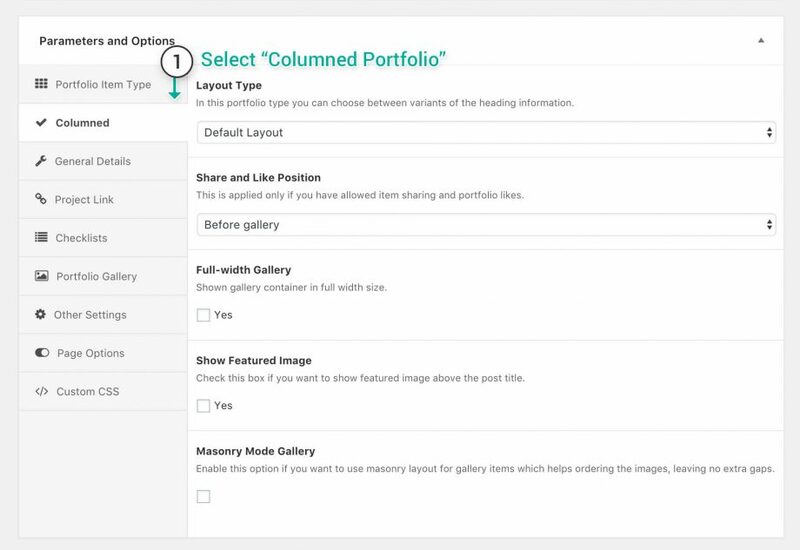 Image Spacing — Choose if you want to have spacing between items or not, if you select the spacing option a new option will appear below, the Gallery Columns Gap. Some of the types that can be achieved with the columned portfolio item type, customizing and using your imagination you can result to incredible results.